19 shoes found. Page 1 of 1. 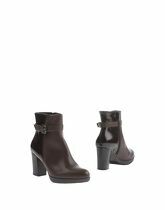 Heel height 4.68 inches; Soft Leather; leather lining, buckle, no appliqués, round toeline, suede effect, multicolour pattern, stiletto heel. 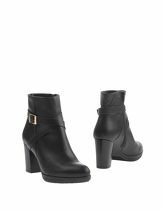 Heel height 4.1 inches; Soft Leather; leather sole, narrow toeline, buckle, spike heel, laminated effect, solid colour, leather lining. 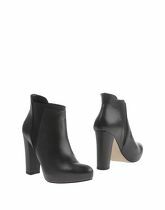 Heel height 4.49 inches; Soft Leather; rubber sole, round toeline, solid colour, square heel, no appliqués, buckle, leather lining. Heel height 4.49 inches; Soft Leather; rubber sole, round toeline, buckle, spike heel, suede effect, two-tone, unlined. 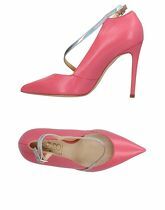 Heel height 3.51 inches; Soft Leather; leather lining, buckle, no appliqués, round toeline, suede effect, two-tone, stiletto heel. 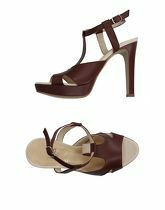 Heel height 4.29 inches; Soft Leather; leather lining, buckle, no appliqués, narrow toeline, suede effect, two-tone, stiletto heel. Heel height 4.1 inches; Soft Leather; rubber sole, round toeline, buckle, spike heel, varnished effect, solid colour, leather lining.